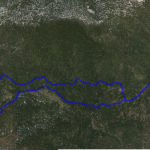 A level road ride with narrow shoulders from Tahoe City to Squaw Valley entrance, and then wide shoulders to Truckee. High speed motor vehicles are present on Hwy 89 (River Road). Start from Tahoe City, at the junction of Hwy 28 and Hwy 89, and head west toward Squaw Valley. Turn right on West River Street and continue to the junction of Bridge Rd. Turn left on Bridge and then left again to enter the downtown corridor – Donner Pass Rd. Continue west and bear left on the round-about and turn right on West River St. When you come to the junction with Hwy 89, turn left and return to Tahoe City. Nearly a 30 mile loop along Hwy 89 (River Rd. 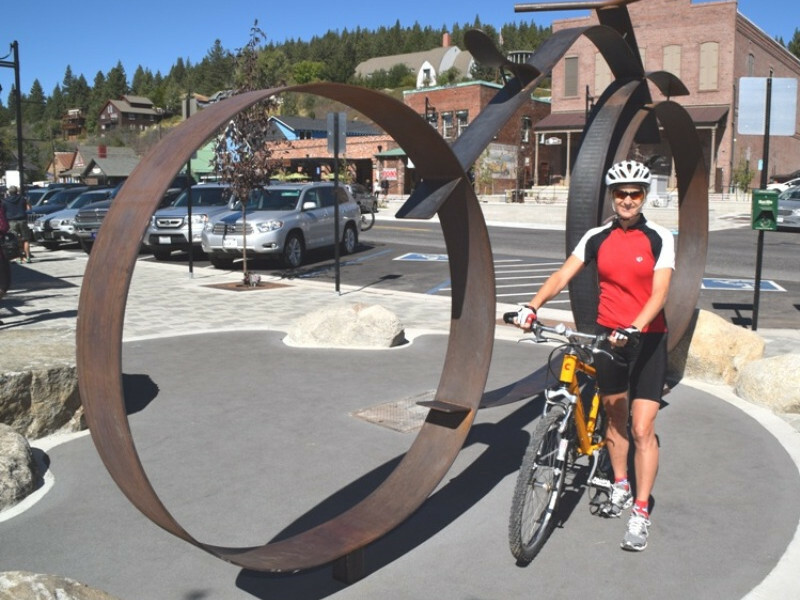 ), through downtown historic Truckee and returning to Tahoe City. 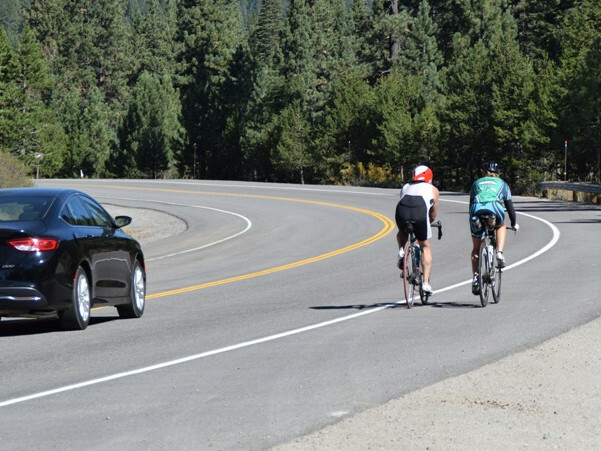 It’s a level roadway providing a training opportunity to focus on your spinning and speed or you may choose to ride at a more relaxing pace and enjoy the beauty of the Truckee River landscape – there are several places to stop along the river’s edge. Historic Truckee is going through a modern transformation with many hip restaurants and retail stores among its historic charm. You are riding along the original Tahoe-Truckee Toll Road built in 1860 to enable horse-drawn freight and passenger wagons to travel between the Lake and Truckee. The river was used to float logs downstream to the mills in Truckee, and during the winter months the frozen river became a natural supplier of much needed ice for the mining operations in Virginia City. Later in the 1880’s, this route became the corridor for a narrow gauge railroad hauling logs to the Truckee mills, and then in the early 1900’s automobiles traveled on what was then called the Truckee Turnpike. This was an important transportation route for commerce, freight, and tourists traveling from Tahoe to Truckee and beyond to Sacramento, San Francisco, and Reno.